Upgrading Windows operating systems has become a nearly painless task over the years, but with Windows Vista a clean installation is always best. However you might be wondering how to perform a clean installation of Windows Vista. Before installing any operating system cleanly there are reasons to consider why this is the best choice and if you have the necessary Windows Vista installation requirements. Drivers that cannot perform with new operating systems will present themselves and allow users to identify which need updates and which do not. Formatting your hard drive is a great way to get rid of all unwanted programs and add-ons that many users are not even aware they have. Unwanted programs and add-ons can slow down a computers performance significantly. Using the Windows Vista installation disc, boot the desired computer. Locate and click the “Install Now” button. You will be prompted to enter a product key associated with the Windows Vista installation disc. 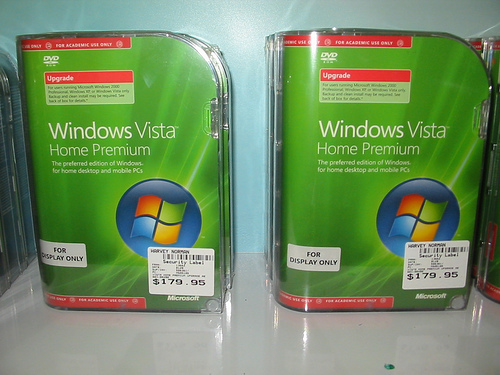 Then choose the edition of Windows Vista desired to install. If necessary format your hard drive by clicking on Drive options. Vista Setup will ask for a user name and password along with a computer name. Enter the data for all fields required. This will happen after reboot. ‹ What Does That Mean? Too Many Cookies? Too Much Cache?